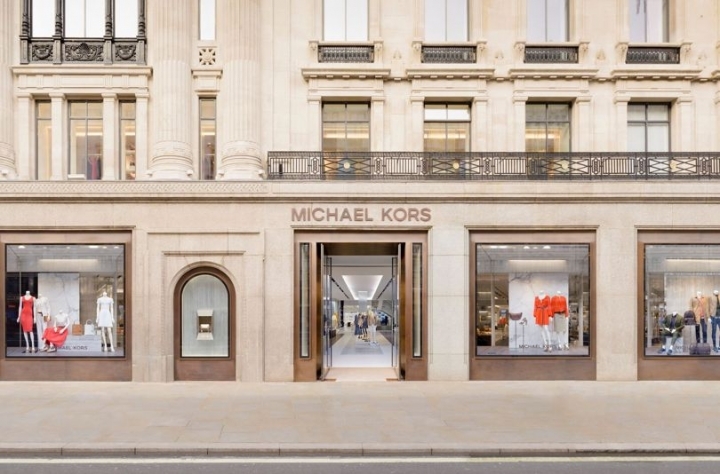 Michael Kors has opened the brand’s largest flagship store in Europe on London’s Regent Street; the 16,275sq ft, three-storey store also features a new design concept which fuses the historic façade with a modern interior. The interior features dark Macassar wood floors and tables, shelves of brushed stainless steel, Venetian wallpaper and Calacutta marble fixtures. A pale, weathered limestone “runway” leads from the entrance through the entire store, which features a palette of soft browns and greys, mixed with warm woods and textural finishes. 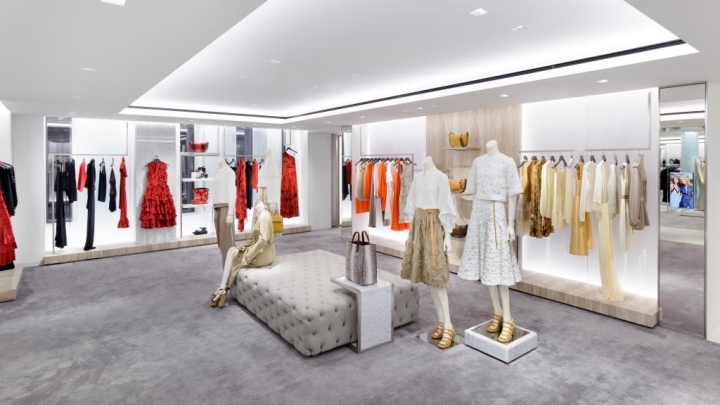 The Regent Street flagship will carry every category of Michael Kors product. 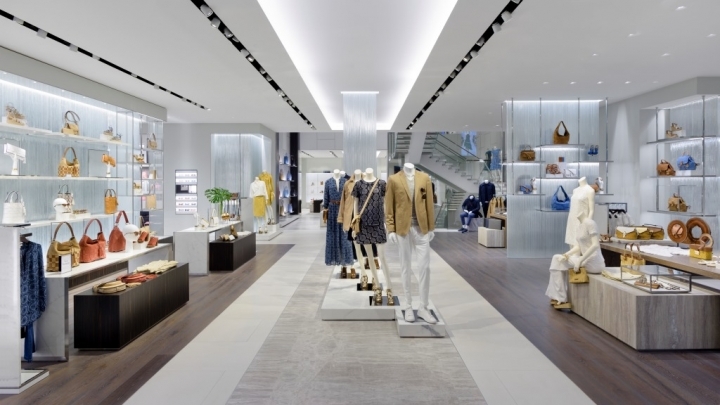 The ground floor is home to accessories from the brand’s Michael Kors Collection and MICHAEL Michael Kors labels, including handbags, small leather goods, watches, jewelry and eyewear. 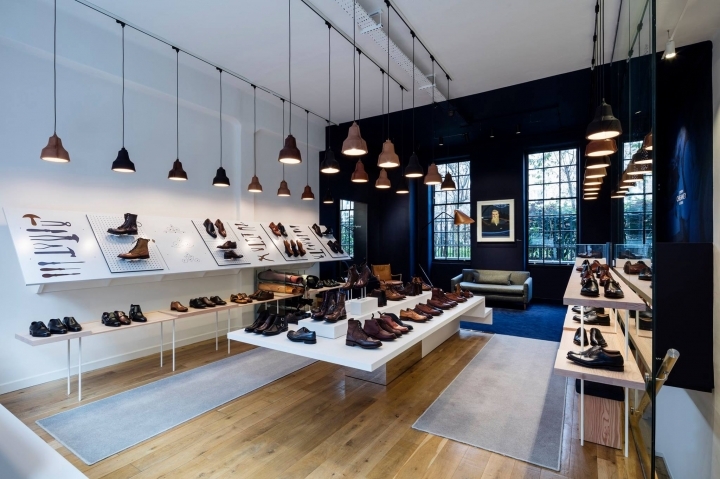 There are separate shoe salons for the brand’s two shoe collections. 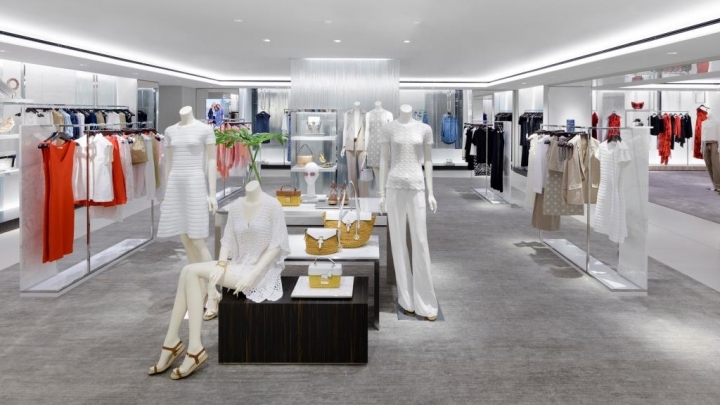 A floating staircase of clear acrylic tile embedded with lights connects the ground and first floor, where ready-to-wear resides, with separate areas for Michael Kors Collection and MICHAEL Michael Kors. The men’s shop is located on the lower level and features custom-built, polished and blackened stainless steel fixtures with grey smoked mirrors and grey-marble display cases. Black-and-white photography and custom seating, along with a full-size pool table, also feature.